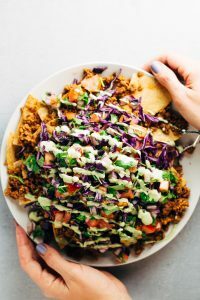 The best homemade vegan nachos recipe ever. Loaded with sundried tomato walnut taco meat, pico de gallo, tasty guac, and drizzled with a homemade nacho cheeze sauce. So yum! Oil free and Gluten free (if corn tortillas are used). 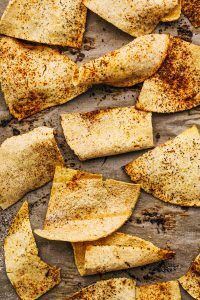 Learn how to make tortilla chips from corn or flour tortillas using your oven. You’ll be surprised at how easy it is. Oil free and Gluten free (if using corn tortillas). 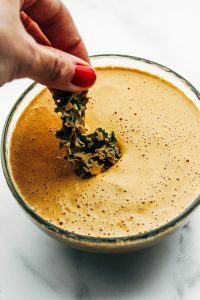 Serve these chips with your favorite vegan dip or use them as a base for nachos! 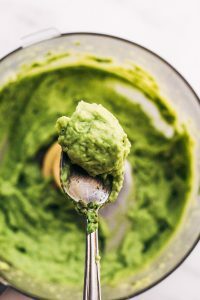 Learn how to make the easiest and creamiest vegan guacamole using your food processor. Only 8 ingredients and full of flavor.